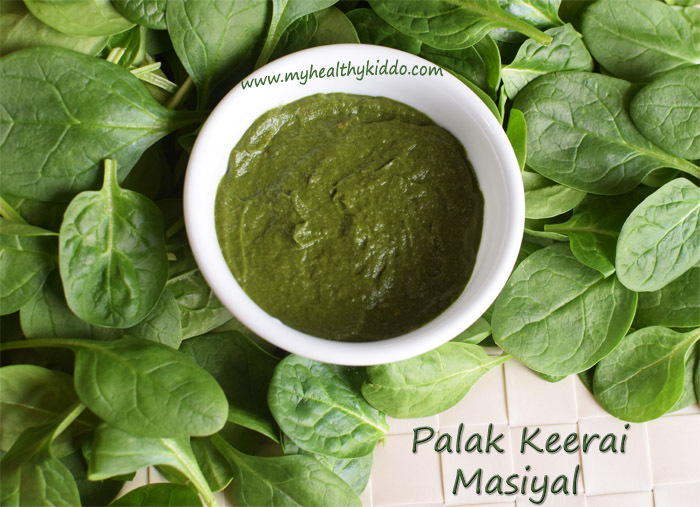 Palak keerai masiyal/Spinach mash is very easy, yet tasty and healthy. Once you try this, you will definitely hook to this recipe. 1.Wash the leaves twice or thrice until the washed water is clear. Refer this link to know how to clean veggies and greens.. 2.Peel the skin and cut onion & garlic. Heat a tbsp of sesame oil(Nallennai) and once hot, add jeera. Before jeera darkens, add onion, garlic and green chillies. 3.Add salt and a pinch of tamarind. Saute till onion turns translucent. Do not fry too much making onions turn brown as it might give bitter taste. 4.Add washed spinach leaves and fry for a minute till the leaves shrink. 5.Cook closed for 2 more mins in medium flame. Stir in between. No water is required for this dish. Leaves will cook within 4-5 mins. Once done, transfer to a plate and let it cool down. 6.Once cooled, transfer to mixie jar and give short pulses until required consistency reaches. Serve with hot rice.. Yummm…. Green chilli tastes good in this recipe. So, do not try to replace with dry red chilli. 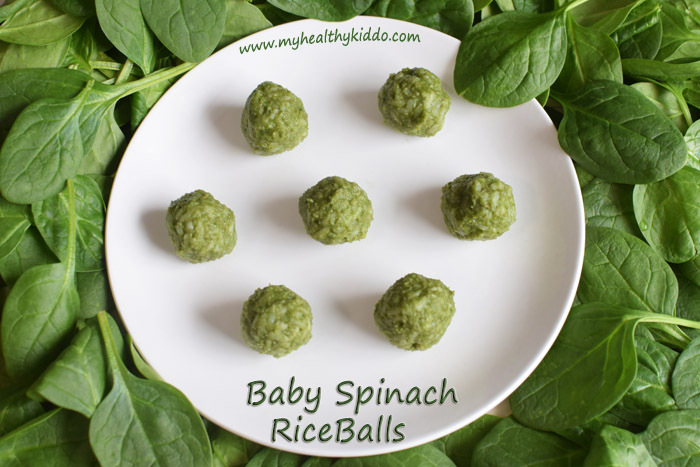 When preparing this for babies, reduce chilli and tamarind. Tamarind is recommended only after 1 year of age. 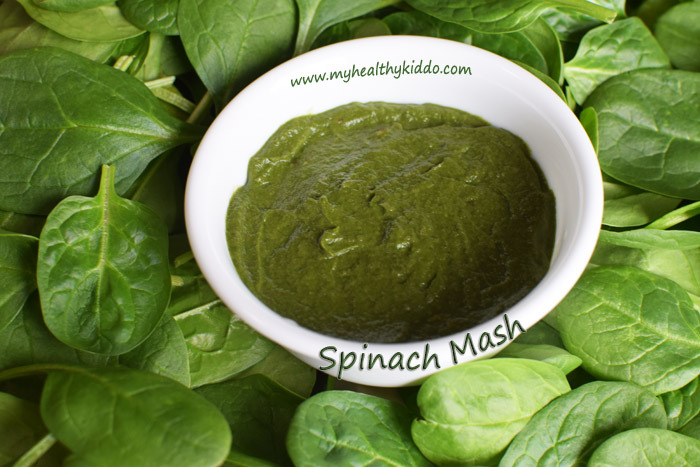 Try Spinach Pulses Mash recipe for babies before trying this recipe.